'Vocals Only 3' is the third installment of the popular and special vocals bundle series from Function Loops. This bundle features 1.2 GB of vocal parts from various best-selling vocal packs released in 2014. Featuring a couple of different vocalists and covering a wide range of genres, this discounted bundle is one not to be missed. 'Vocals Only 3' includes a massive collection of 343 files in total featuring Acapellas, Vocal Loops and One-Shots plus the MIDI files so you can use them to get the exact notes and recreate the melodies or build your own ideas. All Keys and BPMs are listed and each Vocal Loop and Acapella comes in dry and wet versions for maximum freedom while producing. If you haven't got a chance to purchase the full vocal packs from Function Loops and you are looking only for vocals, then you are in the right place. 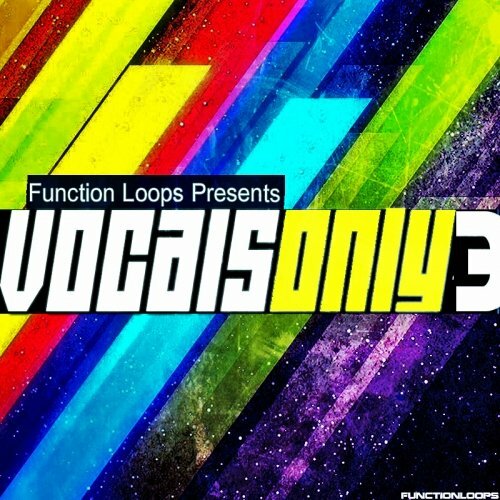 Forget about expensive vocalist recording sessions, Function Loops already got you covered with this wide collection of Vocal Acapellas, Loops and One-Shots.